The term medical marijuana refers to using the whole unprocessed marijuana plant or its basic extracts to treat a disease or symptom. The U.S. Food and Drug Administration (FDA) has not recognized or approved the marijuana plant as medicine. Because the marijuana plant contains chemicals that may help treat a range of illnesses or symptoms, many people argue that it should be legal for medical purposes. In fact, a growing number of states such as Colorado, Nevada, Oregon, and Washington have legalized marijuana for medical use. Cannabinoids are chemicals related to delta-9-tetrahydrocannabinol (THC), marijuana’s main mind-altering ingredient. Other than THC, the marijuana plant contains more than 100 other cannabinoids. 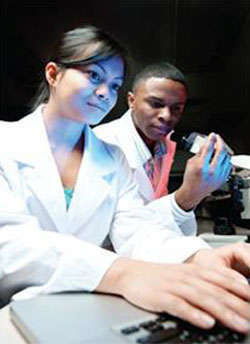 Scientists as well as illegal manufacturers have produced many cannabinoids in the lab. Some of these cannabinoids are extremely powerful and have led to serious health effects when abused. There is growing interest in the marijuana chemicalcannabidiol (CBD) to treat certain conditions such as childhood epilepsy, a disorder that causes a child to have violent seizures. 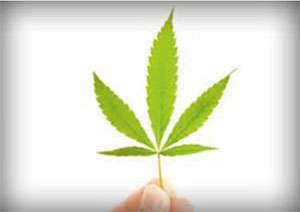 Therefore, scientists have been specially breeding marijuana plants and making CBD in oil form for treatment purposes. These drugs may be less desirable to recreational users because they are not intoxicating. How are cannabinoids useful as medicine? Currently, the two main cannabinoids from the marijuana plant that are of medical interest are THC and CBD. THC increases appetite and reduces nausea. The FDA-approved THC-based medications are used for these purposes. THC may also decrease pain, inflammation (swelling and redness), and muscle control problems. CBD is a cannabinoid that does not affect the mind or behavior. It may be useful in reducing pain and inflammation, controlling epileptic seizures, and possibly even treating mental illness and addictions. NIH-funded and other researchers are continuing to explore the possible uses of THC, CBD, and other cannabinoids for medical treatment. For instance, recent studies have shown that marijuana extracts may help kill certain cancer cells and reduce the size of others. 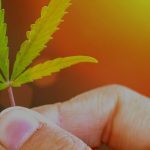 Evidence from one cell culture study suggests that purified extracts from whole-plant marijuana can slow the growth of cancer cells from one of the most serious types of brain tumors. 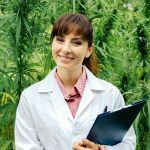 Research in mice showed that treatment with purified extracts of THC and CBD, when used with radiation, increased the cancer-killing effects of the radiation (Scott, 2014). Our goal at the Hope Grows Foundation is to eliminate the ever-growing problem of narcotic dependency through safer, cannabis medication. Educating and Empowering the individual to manage their health through natural medicine. Copyright © 2019 The Hope Grows Foundation. All rights reserved.